Yesterday in a local shop Culturebaby (now five) pointed to a greetings card featuring two defiant-looking young women from the early 1920s wearing purple, white and green. She immediately declared their status as 'Suffragettes'. Whilst the sisterhood of political emancipation had witnessed huge strides by this point, and this pair were not officially clad as suffragettes, my mighty little woman catalysed a discussion between impressed strangers, each delighted that a five year old knew this essential history. And a hundred years later, the battle is not yet won. Each election we don our literal or metaphorical colours, not those of transient party politics, but the eternal symbolism of these brave warriors of equality. With this in mind, I've spent a few years amassing a library of essential reads for my little women. The list could be longer, and no doubt I'll update it regularly, but this pile of inspiration gives plenty for every young girl, and indeed the men in their lives, to ponder and draw on for every eventuality. From the bookish to the brave, the scientific to the sporty, from political pioneers to the conscientiously kind, this selection showcases a host of role models and the brilliance of writing and illustration out there for the very young. There's even the odd princess. The inspiration for this post came from the publication of a new picture book series for girls from Puffin, featuring Lottie of the well known toy brand. I was delighted to find that this first story is replete with positive female role models and has a healthy focus on nature, adventure and friendship. 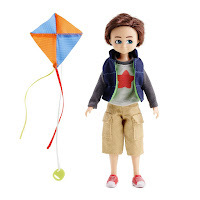 It's a breath of fresh air (literally) and echoes the idea behind the dolls - inclusive, ethnically diverse, age appropriate, and based on the scientific proportions of a nine year old child. The vision from Arklu was that these dolls might empower children to be themselves, to be imaginative, adventurous and have fun doing what they enjoy. 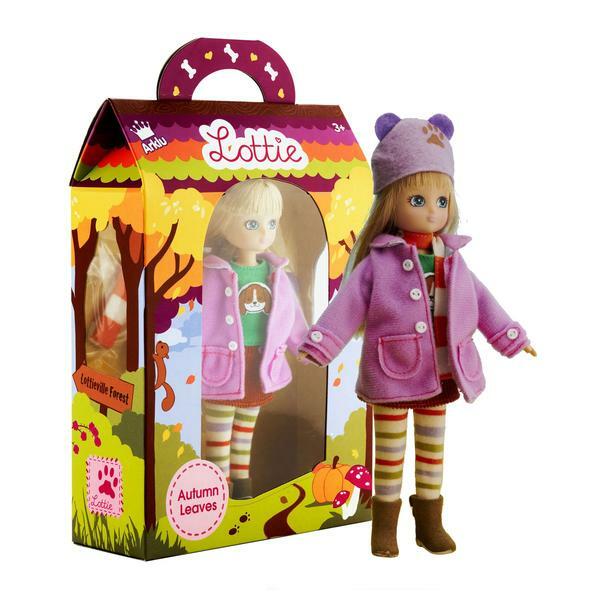 To date they have won over 35 international toy awards. 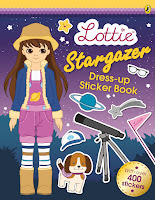 In this story Lottie finds a suitcase belonging to her Great Aunt, an explorer. Amongst the fascinating items she uncovers a notebook with photographs and fieldnotes. Following a chat about this fabulous ancestor with her mother, Lottie and her friends are inspired to become wild beast explorers themselves and, tracking a set of footprints, set out to find the Beast of Branksea. This exquisite set of books are some of the most inspiring and beautifully designed titles we own. Bound for posterity and the brain-child of one of our favourite publishers Frances Lincoln, I've swiftly become an evangelist for this series which is growing all the time. The vision for these books, created by a selection of different authors and illustrators each with their own distinctive and scrumptious style, is that young children can easily, through these simple and engaging biographies, discover the lives of outstanding people. From designers and artists to scientists, activists and authors, every featured mighty woman went on (often despite the odds) to achieve incredible things. Each had a dream and a passion and they followed it. The first book, a staple favourite in our household, follows Coco Chanel, from her early life in an orphanage – where she is a genius with needle and thread – to her time as a cabaret singer, hat maker and, eventually, international fashion designer. Each miniature biography comes with extra facts about each inspiring woman at the back. The girls love the photographs and timelines. They also include motos that the women themselves believed. For Coco Chanel it was "To be irreplacable one must always be different", for Amelia Earhart it was "If you want to do something, do it. You never know how far you will get". For Maya Angelou, with her difficult journey of overcoming extreme violence and racial prejudice, but culminating in her delivery of her poem at the inaugaration of President Clinton, it was a reminder to "lift up our hearts" - "there is nothing I can't be". For Frida Kahlo, surviving a terrible accident in her youth and channeling her fight for survival into her now world famous art, it was "Live Life". Finally in our set, the brilliant young woman Marie Curie who vowed to herself she would be a scientist not a princess and moved countries and learned a new language in order to be able to gain a degree, discovered elements that have been used to save so many people. She trained other women and advised every new student that "in life there is nothing to be afraid of, only many things to learn, and many ways to help those in need. "Amen Marie. Next up, and rightly so, is the most highly funded original book in the history of crowdfunding. Raising over a million dollars on Kickstarter and Indiegogo, this stunningly illustrated title features short biographies of 100 extraordinary women from around the world from rappers and gymnasts, to explorers and monarchs, Hadid to the Brontes - success stories spanning time and in every field imaginable. It is easy to dip into for an appropriate tale. Before swimming a couple of weeks ago the girls and I enjoyed the inspiring journey of Yusra Mardini, the young Syrian refugee who pushed a boat of people for three hours to safety and later swam in the Rio Olympics. We've already bought this as a present for some of the young women we love and it is going to our Goddaughter too. The diversity that the book encapsulates so well, also weaves through its beautiful design. The women are not always those we might expect, which is refereshing, and each story is accompanied by a full page portrait produced by one of 60 female artists. And it is just that. A work of art. 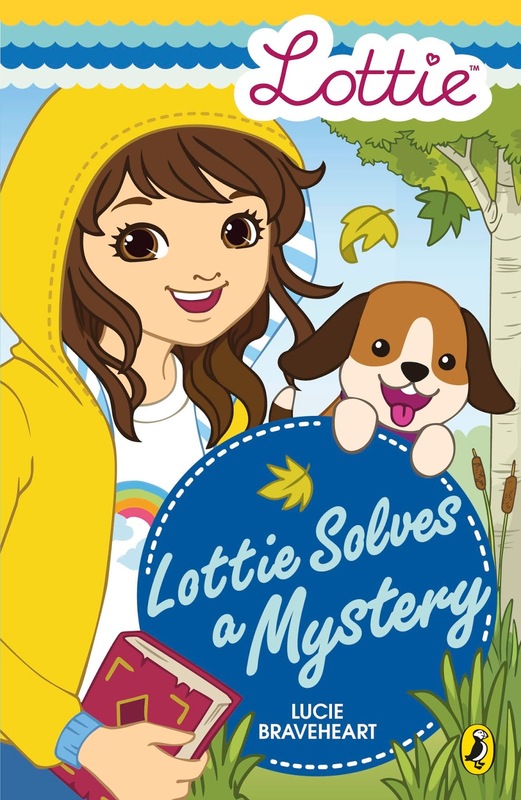 As the authors themselves note - it's the book they wish they had when they were growing up, and it has been so successful the second in the series has been announced. A second collated biography recommendation for slightly older readers is cute, compact and cartoon-like. The paperback is cheap and portable, making it a great present for classmates. Taking thirteen pioneering women who changed the way we think, challenged social norms and fought for their passions, Kate Pankhurst (descendant of the indomitable Emmeline) looks at how and why these women became so great. Full of facts and personality, quotations and speech bubbles, this mildly irreverent and quirky book also showcases that kindness as well as courage and self belief can never be underrated. A couple of weeks ago in the library we discovered a series of factual books about great characters from Wayland books' Fact Cat Series. Culturebaby found them intriguing and accessible with their simple text, photographs and source materials, fact boxes and, frankly, exciting content. She devoured the biography of Emily Davison - her fight for the vote and her tragic end. Next in our set of brilliant biographies is the poetic and exquisitely illustrated story of the famous ballerina Anna Pavlova. Chronicle books feel and look beautiful and this title has echoes of the Little People Big Dreams series above. The Culturebabies love their ballet classes and regularly turn our days into a musical. Anna's story of a poor girl with an unwaivering dream to dance captures that first moment of falling in love with your life's vocation. Jumping in a sleigh one evening and taking Anna to the Mariinsky theatre her mother prophesied "you are going to enter fairyland" and as Tchaikovsky begins and Sleeping Beauty opens her eyes "...so does Anna. Her feet wake up! Her skin prickles. There is a song suddenly inside her. Now Anna cannot sleep. Or sit still ever...." Anna works and waits, waits and works until she is accepted into the ballet school, and then... her Swan takes flight. She was born for this. However, Anna never forgets her roots and feels acutely for those who have never heard the music. So she travels, she meets people, performs in odd places, and devotes her life to the dance. She shared her gifts with the poor as well as the rich. She inspired people wherever she went as she believed that ballet had changed her life and felt it could do the same for others. I bought this beautiful picture book about the artist Georgia O'Keeffe to accompany the Tate Modern's exhibition late last year. We often associate Georgia with her series of flower paintings, but this picture book explores the inspiration behind her love of nature and her interest in collecting objects - sticks, stones, flowers and bones. Culturebaby, who had recently been on a mudlarking trip to Tower Beach that had utterly inspired her, (displaying her shoe-box of antiquities to anyone who visited), and seeing a kindred spirit in the young artist, declared "she's me!". Georgia grew up on a farm in Wisconsin and, answering those who teased her for her interest in shapes and sizes, said that "someday I'm going to be an artist"; and that is what she became. This sumptuously illustrated story charts her childhood where "shapes often drifted in and out of Georgia's mind" all the way to New York, whose forms she also captured. Then on to New Mexico with its rolling colours and desert full of bones, which she collected, cleaned and incorporated into her art. This book, as its author notes, was inspired by Georgia's "commitment to life as an artist at a time when few women were taken seriously as artists". She was a pioneer. A perfect companion to the last item is a favourite with the girls, the story of the Regency period scientific pioneer Mary Anning told in cartoon form. We recently went on a trip to Lyme Regis where Mary lived as a child and where she found her first Ichthyosaur in 1810, a discovery which changed science forever. Mary lived at a time when scientists were working on a new idea that evolution was the answer to the plethora of discoveries of ancient lifeforms, a theory which was shocking to some as it wasn't featured in the Bible. Mary also lived at a time when it was mainly men who worked in fields such as these, and rich men at that. Coming from a poor family, Mary and her brother collected fossils to sell in their shop, and following a storm and flood that wrecked their home, with a new urgency and vigour, she sought items that would impress. She couldn't have imagined the scale and importance of her consequent find of the first whole Icthyosaur - now in the Natural History Museum, or the others that followed. Captivated, Mary devoted the rest of her life to the study and collection of this pioneering area of science and as my little ladies scrambled over rocks discovering ancient ammonite after ancient ammonite, they too (and I with them) experienced that utter thrill of the discovery of the ancient and precious. The girls love to finish every bedtime story session off with some song, and they particularly love illustrated traditional ballads. I discovered this brilliant picture book earlier this year, which combines the Skye Boat Song with a story inspired by the escape of Bonnie Prince Charlie from the Battle of Culloden, supported by the brave young Flora MacDonald and her loyal family. Flora's spirit and courage became legendary and there are memorials both to the Prince but also to Flora throughout Scotland. "Rocked in the deep, Flora will keep watch by your weary head." They also paricularly like that we have MacDonald ancestry. Before I move on to a set of fiction books with positive messages for young women, I'd like to dwell on the stunning recent addition to the treasured shelf from much-loved author Oliver Jeffers. Peppered with real quotations and featuring many of the authors' favourites this unique meditation on the rewards of reading and sharing stories, takes us on a lyrical journey into the wonderland that is the written word. "I am a Child of Books. I come from a world of stories, And upon my imagination, I float." A little girl sails her raft "across a sea of words" to arrive at the house of a small boy. There she invites him to come away with her on an adventure. Guided by his new friend, the boy unlocks his imagination and a lifetime of magic lies ahead of him…Some people have forgotten the joy of reading, perhaps some have never discovered it, but this is a joy to be shared "for this is our world we've made from stories, our house is a home of invention, where anyone at all can come. For imagination is free." It's an inspiring read for all children. Being bookish is cool. Chosen for: its message that you can be whoever you want to be. You don't have to wait for life to pass you by - sieze it! At times you will be alone, stuck in the mire, confused or tired, but "Congratulations! Today is your day. You're off to Great Places! You're off and away! You have brains in your head. You have feet in your shoes. You can steer yourself any direction you choose." We can forgive Dr Seuss the 'guy' and insert girl. This was a gift for Culturebaby at Christmas from her Montessori nursery and it was recited at the naming of a friend's child. It was an excellent message to tackle anything life has in store - get on your way. Chosen for: its brilliant heroine, Pearl, a princess who is determined to be a doctor. In the first title she supports a young dragon through his challenging and demoralising training to be fierce, nursing his friends and refusing to be rescued by a prince and return to "prancing round the palace in a silly dress." Surprisingly she finds her soul-mate behind the rescuer's visor and both head off with Zog their friend, as flying doctors. When they return in the sequel, successful doctors, expert in their fields, the challenge to overcome is her own Uncle, the King, and his misplaced idea that princesses can't be doctors. Determination and skill triumph and he is convinced. An important message, that no-one, whoever they are, should dampen our dreams. Chosen: with it's prequel The Worst Princess for its swashbuckling female; another royal rebel who refuses to be saved, but equally understands the importance for her attempted rescuer of belonging, friendship and dignity. This book is funny and has great illustrations but it also has the important message that standing up for the weak and having no tolerance for bullying is hugely important for those in positions of leadership. Chosen for: its eponymous heroine, her attitude to those who feel lost and out of place and her quest to bring out the best in them and help them to find their dignity and true place in life. Tate books are consistently unique and stunning, and this pair from award-winning illustrator Lesley Barnes are no exception. Uniquely shaped and exquisitely designed, these titles leap off the shelf. Tate describes Jill as "a feisty, independent-minded new character", who reminds us that everyone has a talent, however well hidden, and that it is a special person that can help others to uncover it. 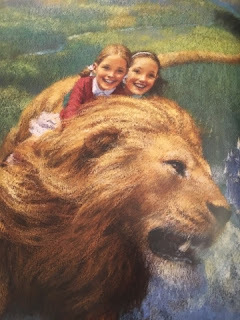 Chosen for: Lucy: the pure of heart, the valliant, always faithful and whose belief in Aslan returns her to Narnia again and again. Her heart enables her to see the king, when others are no longer able, and her consistent honesty reveals to us the nature of true faith. Culturebaby has long been a resident of the land beyond the wardrobe, and at three, this beautifully illustrated Harper Collins version of The Lion, the Witch and the Wardrobe, was a perfect way in to the classic for her (which we are now reading in its original form). "Once a king or queen of Narnia, always a king or queen..."
Chosen for: its mould-breaking young scientific women who encourage us to stand and cheer at each perfect failure, get up and try again. The mighty girls masterpiece Rosie Revere Engineer features a girl who loves making things; gadgets and gizmos and machines for doing wonderful things. She hides them under her bed where no one can see. She was once unabashed but, after she created a wonderful gift for a favourite relative who laughed at her offering, she lost her confidence to share her inventions. Then one day she heard the dream of her great great aunt (herself once an engineer) to finally fly and set herself the task to create a flying machine and propel the old lady into flight. With the wisdom and support of this wonderful old lady Rosie discovers that true failure can come only if you quit. Then comes Ada Twist, a scientific genius who needs to know 'Why'? I particularly love this title because her parents believe in her, allow her to experiment and learn and, although they become frustrated, they too recognise they are on a journey. They learned to truly support her passions - figuring it out as they went along. "...because that's what you do when your kid has a passion and a heart that is true. They re-made their world - now they're all in the act of helping young Ada sort fiction from fact." It's as much a book for the parents of exceptional and inquisitive young women, and the rhyming text and fabulous illustrations are a hit with everyone. Chosen for: its quirky brilliance and beautiful period illustrations, re-inventing a classic tale in mid-century style and with a refreshing feminist twist. Beginning in 1930's at a Christening, and stretching to the 1950s for the 16th birthday, Sleeping Beauty (Annabel), carefully protected from needles by her adoring aunts, pricks her finger on the stylus of a record player - a gift from the evil Morwenna. Annabel had dreamt of seeing the future and her wish unexpectedly comes true as her rescuer, 1000 years into the future, is no prince, but a girl named Zoe who has a passion from the past and scours the library for evidence of why a giant thorn-tree is found amidst a futuristic high-rise landscape. The aunts equally take on a delightful role as protectors who ultimately sacrifice themselves for their beloved ward. It's a great re-telling anyway, but the period details confirm this picture book offering as a 20th Century historical tour de force. There are three others in our collection - an Art Deco Cinderella, a 1970s Rapunzel, and a male Red Riding Hood, 'Little Red' from the 18th Century. They are all brilliant. Chosen for: its glorious historical illustrations from the ingenius and talented Shirley Hughes and an encouraging tale that with loyalty and dedication anyone can change their own circumstances. Daisy comes from a poor family and, forced to leave school and the books she loves, she must work as a scullery maid in a large house with stern employers. It's work she doesn't enjoy, and isn't brilliant at either, but she works hard and is allowed books to read in her spare time. Books take away her loneliness and give her a challenge and hope. Despite a number of disasters Daisy, through her quick thinking, is able to save the household from a fire, and in saving the day she is rewarded with her greatest dream - a place at a school. Chosen for: their lighthearted and enjoyable tales about a creative and strong young woman. 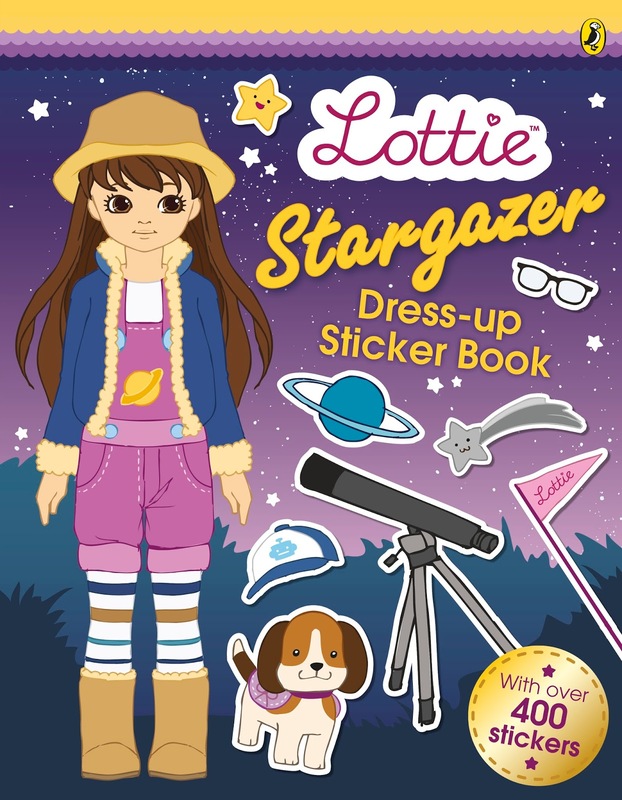 The author Abie Longstaff, has aimed with this series to demonstrate that fashion and fun can be combined with courage, quick thinking and self-determination. Her series of ten books subverts traditional fairytales and creates a Fairy Land where princes work, women don’t necessarily choose marriage ahead of their careers and the justice system is more focused on rehabilitation than punishment. Chosen for: their glorious turns of phrase, delightfully educational content and sage message behind the mirth. 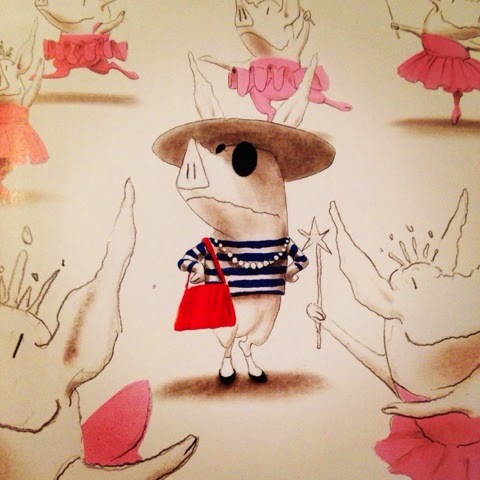 Olivia is a piglet. She's also a toddler. Fiercely independent and in danger of wearing out the naughty step, Olivia's exploits in the pursuit of individuality cannot fail to make even the most despairing parent chuckle. When Olivia decorates her bedroom wall with splodges of black and red paint, this is no graffiti, but an experiment emulating Pollock. In Olivia and the Fairy Princess, we are presented with Olivia's incandescnce at the sole aspiration of her peers to be pink tutu-clad princesses in need of rescue. She presents alternatives, explores stark modern dance, and considers a future as a reporter exposing corporate malfeasance. These books are utterly brilliant. Buy them immediately. Chosen for: the heartwarming father and daughter relationship, gorgeous illustrations, and brave female role model. Originally a video game, creator Hastings has turned the adventure into a book about a young girl who lives alone with her fisherman father. Each day he heads out to sea to catch fish while Merryn tends her garden, and every night he comes home and sings to her about a mysterious world that lies below the waves. Then one day he doesn't return, and Merryn, recalling his dangerous realm of serpents, merrows, monsters, and a sunken city made of gold, sets out to rescue the one she loves. Clever Merryn constructs a vessel and heads off on a strange and beautiful adventure where her kindness and care for others, however terrifying, ultimately reflect back to her in her moment of need. Plus a couple more copies of the books for the runners-up. To be in with a chance to win please tell us what you'd add to our Mighty Girl Booklist in the comments below and then enter using the Rafflecopter. Disclaimer: Whilst we already own a good proportion of these books, several have been sent to us over the last couple of years for the purposes of review. However, the selection in this post represents what I believe to be the very best of everything we have received and own on the topic. Many thanks to Picture Corgi, Walker Books, Pavilion, Abrams, Tate, Simon and Schuster, Penguin and Frances Lincoln for copies of some of these titles. Huge thank to Lottie, Penguin and Arklu for their brilliant competition prizes. Fab post thanks!! Ill be adding some of these to our already extensive Amazon lists!! We love both Rosie Revere and Ada Twist! My 7-year-old daughter and I also recommend _The Princess in Black_ series by Shannon & Dean Hale (illustrated by the incomparable LeUyen Pham) - there are 4 out already, with a 5th due to be published this fall. While not for kids, we've pored over Abbie's story in _Women Who Kept the Lights_, a collection of short biographies of female (US) lighthouse keepers, together. _The Paper Bag Princess_ by Robert Munsch was a favorite for much of my daughter's toddlerhood as well. Princess Elizabeth's journey to rescue Prince Ronald is brave, bold, and unexpected. We've also fallen in love with _The Princess Knight_ by Cornelia Funke, but it's sadly out of print (used copies can be found online at various sites) and I will warn that some parents struggle with the fact that the titular princess's mother dies (in childbirth) very early in the story. Matilda, I think all children should enjoy some Roald Dahl books. I would definitely add the Historical House series (6 Chelsea Walk). My junior school child loved these especially Polly's March by Linda Newbery which is essentially a suffragette novel. We loved the idea of taking a house and inventing strong female characters who lived in it during different periods of history. Definitely ones for CultureBaby's list in a year or two. The Little House series by Laura Ingalls Wilder. Laura is always willing to be herself, even when it flies in the face of traditional gender expectations. Anne of Green Gables is great for the same reason. They are fantastic role models for girls (and boys). Vienna Imports Keeping in view the growing demand of online shopping, entrepreneurs have created many shopping portals online that are very inspiring and profitable for the customers. Escorts in Uttam Nagar Great Blog I like it. Finally made my list of books for this challenge! I am real excited! Hope I manage to link and post as I'm supposed to haha! On the off chance that you see that your baby is pulling on or striking into his ears notwithstanding different manifestations, perhaps he is getting teeth.